For the Northern Cheyenne tribe of Lame Deer, Montana, the American Dream has taken a grim detour. Here, Buddy Red Bow (A Martinez) is a committed activist battling a suspicious land-grab. Philbert Bono (Gary Farmer, in a performance Roger Ebert calls "one of the most wholly convincing I’ve seen") is a serene spiritual warrior guided by sacred visions. But when Buddy’s estranged sister is framed and jailed in New Mexico, the two men take Philbert’s rust-wrecked ’64 Buick ‘war pony’ on a road trip that makes some very unexpected stops along the way. 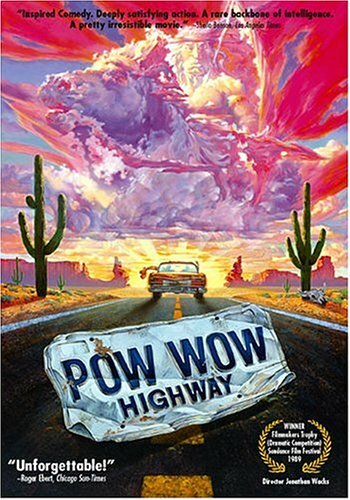 Jonathan Wacks (Producer of REPO MAN) directs and Graham Greene (DANCES WITH WOLVES), Wes Studi (THE LAST OF THE MOHICANS, HEAT) and Amanda Wyss star in this acclaimed comedy/drama about Native Americans understanding the past, fighting for their future and discovering a few surprising truths along the POWWOW HIGHWAY. If you have any questions about this product by STARZ/SPHE, contact us by completing and submitting the form below. If you are looking for a specif part number, please include it with your message.